About PMC – PHOTOGRAPHYMASTERS "CREATIVE WORKSHOP"
“ TRANSFORMING PHOTOGRAPHY INTO ART. 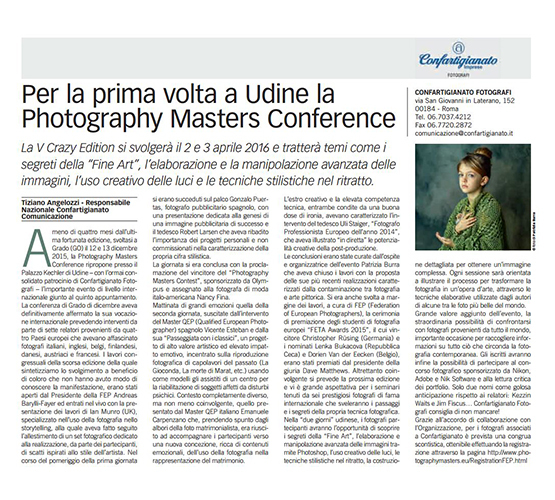 ” PMC is a significant annual event for all professional photographers. Workshops will be held by internationally renowned photographers, who will explain the steps and secrets of their photographic techniques. PMC provides an important opportunity to discover the secrets of “Fine Art”, processing and advanced image manipulation using Photoshop, the creative use of lights, stylistic techniques in the portrait, the detailed composition to get a complex image. In addition, the ability to deal with photographers from all over the world, it will generate the opportunity to capture information on all that surrounds contemporary photography.Our purpose is to help photographers improve their skills and learn new ones, take stunning and unique images, and encourage their creative juices. 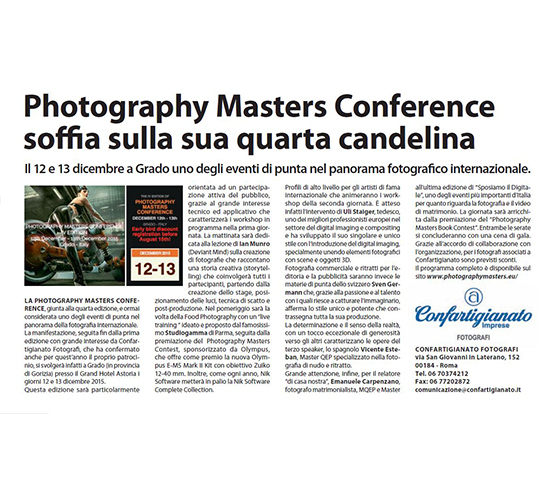 The Photography Masters promotes the art of photography by supporting the growth of creative artists through international exhibitions, conferences, workshops and educational programs. PMC is a place where you have the possibility to learn photography together with world’s leading photographers. PMC workshop are not lost in large classes. As an explicit policy, our courses and workshop are limit class size, making individual attention and interaction among people and instructors possible.